Perhaps another trivial post, but if you don’t know about it, you might find it extremely useful. Cisco NX-OS has an on-device log file of the exec level configuration commands entered successfully. Obviously similar informational can be obtained from the TACACS logs, but there is a certain benefit in having directly on CLI. This is a interesting but a trivial post. Everybody know about the interface command “load-interval” that changes the time period over which the interface packet-rate and throughput statistics are averaged. I discovered an addition to this command on the Nexus the other day while poking around. 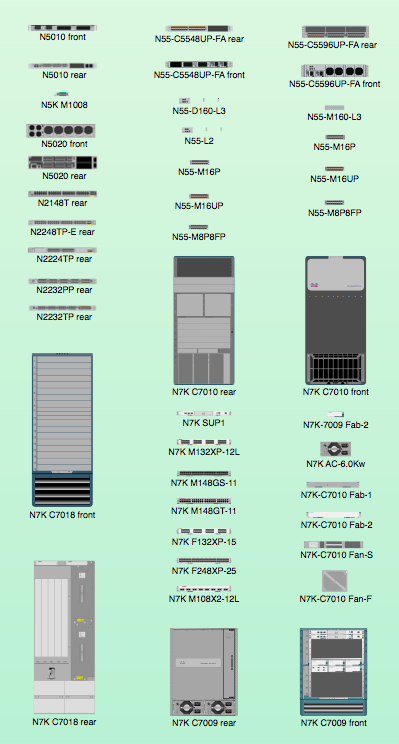 NX-OS allows multiple counter intervals to be configured on the same interface. This allows different sampled intervals to be listed at the same time. When upgrading a Nexus 7000 to NX-OS version 5.2 (using more than 1 VDC) or to NX-OS v6+, Cisco claims the need to upgrade the system memory to 8Gb. Note I have run on v5.2 using only 4Gb per SUP using 2 VDCs and it has worked just fine, but I should mention that the box was not under heavy load. The upgrade per SUP would need the Cisco Bundle upgrade package (Product code: N7K-SUP1-8GBUPG=). One package has one 4Gb module. (see picture below) If you have two SUPs you would need two bundles. Notice the 8Gb sticker on module in the red block. I am a MAC user and I have been looking but could not find a OmniGraffle Stencil with the Cisco Nexus icons, so I ended making one. It is not uncommon to find that different vendors have slightly different implementations when it comes to standards technologies that should work seamless. I recently came across a BGP capability negotiation problem between a Nexus 7000 and a client Fortigate. Today’s post is not teaching about any new technologies, but instead showing the troubleshooting methodology I used to find the problem. The setup is simple. A Nexus 7000 and a Fortigate connected via nexus layer2 hosting infrastructure, to peer with BGP. The first steps should verify the obvious. Configuration! This check should included checking the ASNs, the peering IP addresses, source-interfaces and passwords matching. I previously wrote a post about the Nexus Roles and how they integrate with a TACACS server. We are using Shrubbery TACPLUS, instead of the Cisco ACS software. Last week I noticed that only one role was assigned when multiples should be assigned. Multiple roles are required when using one TACACS server to issue roles for VDC and non-VDC Nexus switches since they need different default User-Roles. This was tested on a Nexus 5000, a Nexus 7000 and VDC on the same Nexus 7000. Different codes were tried. This was not a NX-OS bug. Upon further investigation it was obvious, that the syntax above as provided by Cisco was specific their TACACS software, being the ACS software. But I still required multiple Roles to be assigned for my single TACACS configuration to work across multiple Nexus devices. First attempt was the lazy method. Ask uncle Google for any such encounters with a solution. That yielded no practical results. I then contacting Shrubbery for the solution, after that it became clear that possibly nobody else have experienced this problem before. So the hunt began to find out exactly what was so different in the AAA response from the Cisco ACS software to the TACPLUS software that it did not yield the required results.